This year, the 31st edition of the Outback Bowl will kick off at 1 p.m. ET on January 2nd 2017 and will be televised on ABC, more information can be found here. The bowl plays host to teams from the Big Ten Conference and Southeastern Conference in Raymond James Stadium. Imagine 65,000 college football fans, from across the country, cheering their team on from the stands at Raymond James Stadium. Fans from over 45 states come out to Tampa Bay on New Year’s Day for just one reason, the 30th annual Outback Bowl. The Outback Bowl began on December 23, 1986, after the NCAA awarded a college bowl game to Tampa Bay. That first year, the Georgia Bulldogs and Boston College Eagles competed at old Tampa Stadium in the first Hall of Fame Bowl. Tampa hosted one of just thirteen bowls at that time. It rained cats and dogs that day, but 20,000 fans stuck around to watch the Eagles take home the win. 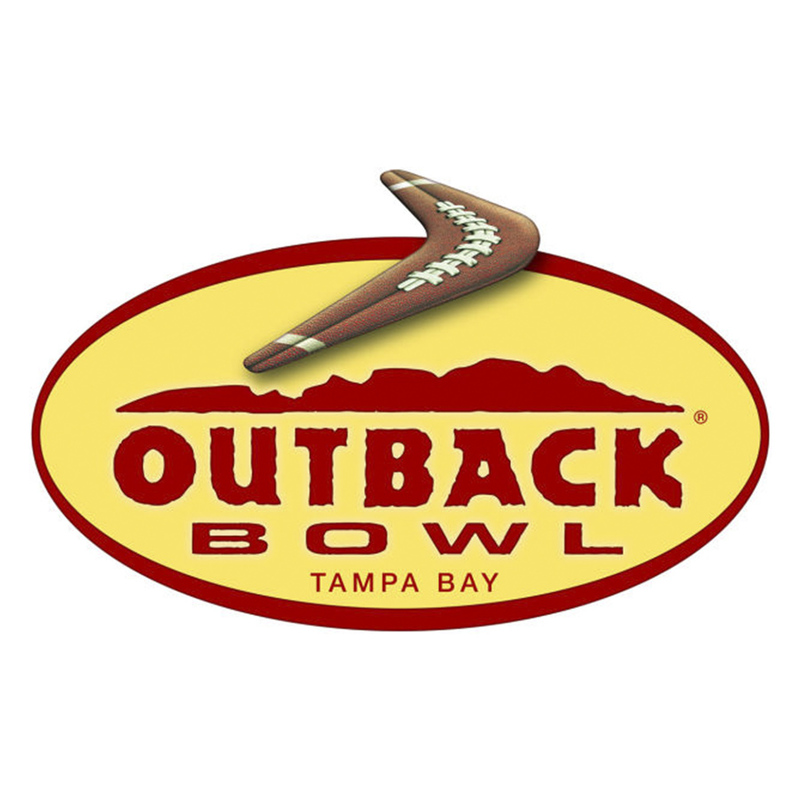 The Hall of Fame Bowl became the Outback Bowl in 1995, when Tampa-based Outback Steakhouse signed on as the title sponsor. Participating universities have received over $130 million from the Outback Bowl since its inception. And some 800 Outback Bowl players have gone on to play in the NFL, currently over 100 bowl players are still on the NFL roster. Eleven Outback Bowl coaches have gone on to win at least one national championship in their career. ESPN televises the game nationwide, with telecasts to over 140 foreign countries. Watching the big game is one thing, but nothing can replicate feeling the thump of the marching band and the roar of the crowd when touchdown time arrives. And how many other college bowls can host a pre-game beach day in the middle of winter? Start the New Year off right by getting back to the heart and soul of college football at the 2017 Outback Bowl in Tampa Bay.